Jewell Haydon Lewis, age 95, of West High Street, Springfield, passed away at 2:32 a.m., Wednesday, February 27, 2019 at the Green Meadows Health Care Center in Mt. Washington. 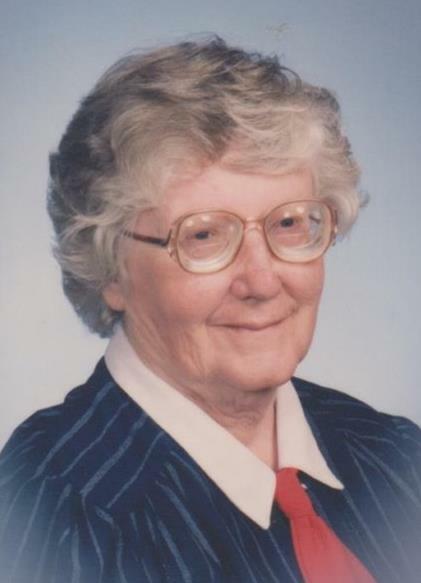 A native of Washington County, she was born on June 24, 1923 to the late Ben Calvin and Mary Belle Cornish Haydon. She was of the Baptist faith and a homemaker. Preceding her in death was her husband, Hartford Lewis on May 29, 1997; two sons, Eugene Lewis on March 19, 2008 and Benny Lewis on September 19, 2016; two grandsons, Brian Lewis on September 16, 2016 and Paul Lewis on January 8, 2001; four sisters, Fannie Lou Haydon, Surene Lewis on May 24, 1977, Mary Lottie Carney on November 25, 2004 and Ruth Humes on December 16, 2016 and two half-brothers, Joe Allan Lewis on August 27, 2010 and John Clifton Lewis on May 4, 2016. Survivors include three sons, Danny Lewis (Daysi) of Shepherdsville, Dudley Lewis (Charlotte) of Mt. Washington and James Lewis (Lavena) of Waco; five daughters, Nina Marksbury (Roger), Janet Stine (Carroll), Donna Honeycutt (Jim) all of Mt. Washington, Thelma Snider (Glenn) and Phyllis Hamilton (Ronnie) of Springfield; a daughter-in-law, Lorna Lewis of Springfield; twenty-three grandchildren; a number of great grandchildren and great great grandchildren; one brother, Ben Haydon (Nellie) of Bardstown and a half-brother, Charles Lewis (Mary) of Springfield. Funeral services will be held at 1:00 p.m., Saturday, March 2nd at the Carey & Son Funeral Home with Rev. John McDaniel, officiating. Serving as pallbearers will be Dale Lewis, Lynn Snider, Gerald Marksbury, Joshua Lewis, Jeremy Lyvers and Joshua Mitchell. Visitation will be from 4 until 8 Friday at the Carey & Son Funeral Home.